In Friday's sessions, speakers will share their insights, tips and tricks to help you take your design to the next level. Washington D.C. is home to some of the best museums in the world, and several of these will be featured in our tours. Take a look at the fantastic tour options that you can participate in on Thursday in the agenda below. 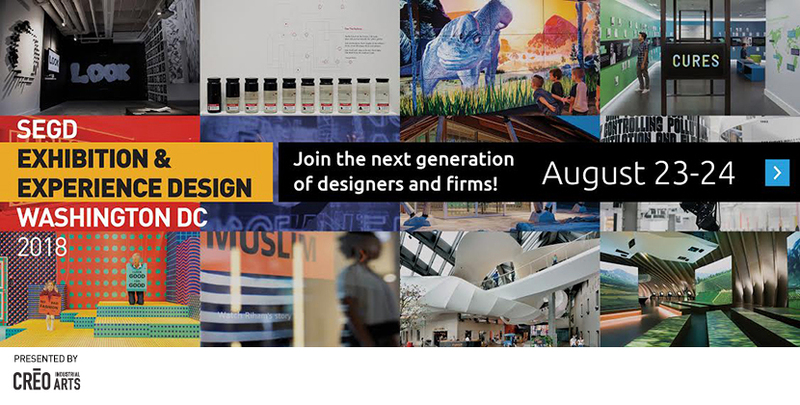 Meet the members of the SEGD Washington DC Chapter at the Chapter Bash on Thursday evening. The event is being held at the new Museum of the Bible. 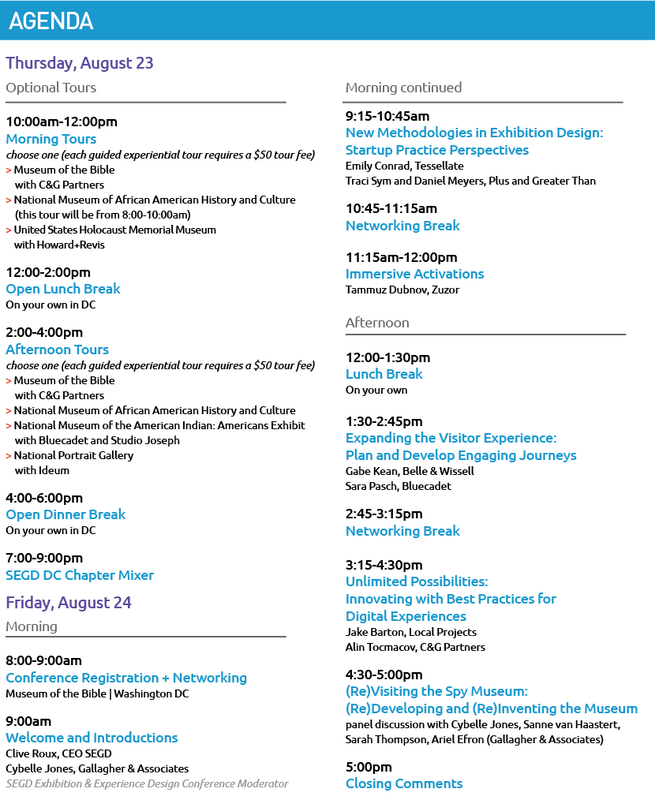 Stay a day longer and explore the new Smithsonian African American Museum (hint: ask us how to get into the museum on the day), the Holocaust Museum, Newseum and many more. 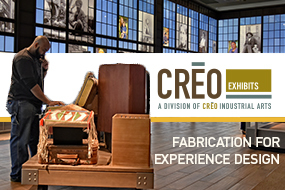 Learning about the practice of exhibition and experience design is the primary goal of the event, but the networking and connections that you will make are also invaluable. 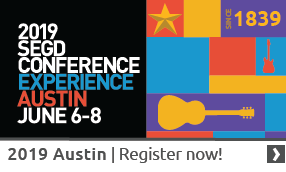 And the number two reason people attend SEGD events. SEGD has reserved a small block of rooms at Hyatt Place Washington DC/National Mall for US$189 plus tax and fees per night. This rate is in effect through July 22, 2018; after that date, unsold rooms will be released. Rooms fill up quick and are not guaranteed, so confirm your reservation soon. 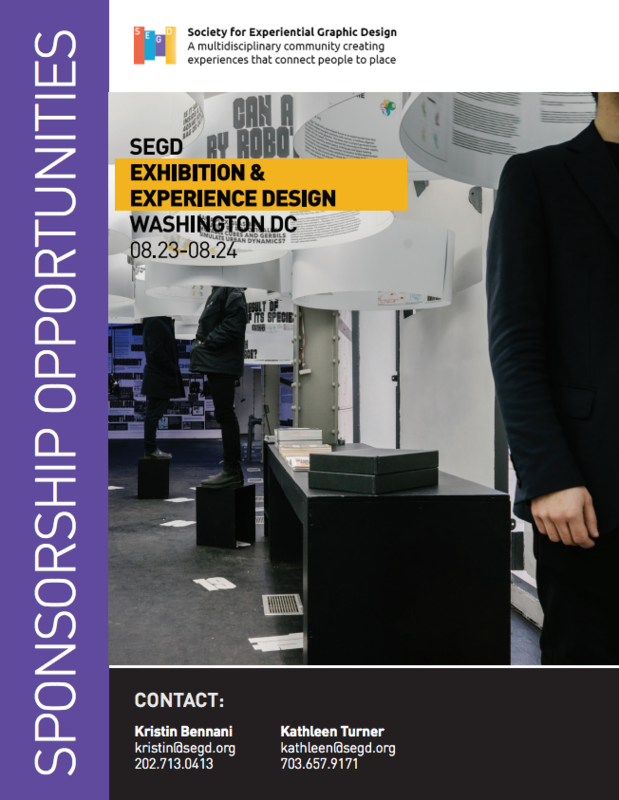 Reserve with code G-SEGE or ask for “SEGD Exhibition & Experience Design Group” by calling 800-993-4031; or reserve online at https://dcnationalmall.place.hyatt.com/en/hotel/home.html?corp_id=g-sege.